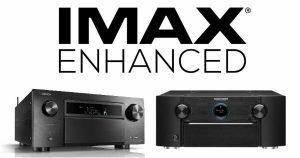 Sound United has announced a firmware update that will make the Denon AVR-X8500 AV receiver and Marantz AV8805 AV preamp/processor the first AV components equipped with IMAX Enhanced technology.IMAX Enhanced is a program developed by IMAX and DTS that certifies digitally remastered Ultra HD/HDR video with immersive 3D DTS surround sound for delivery through certified audio and video products that meet performance standards and incorporate a proprietary suite of IMAX and DTS technologies. The Denon AVR-X8500 and Marantz AV8805 will also receive a “smart remote management and Web UI” firmware update along with the Marantz SR8012 AV receiver. 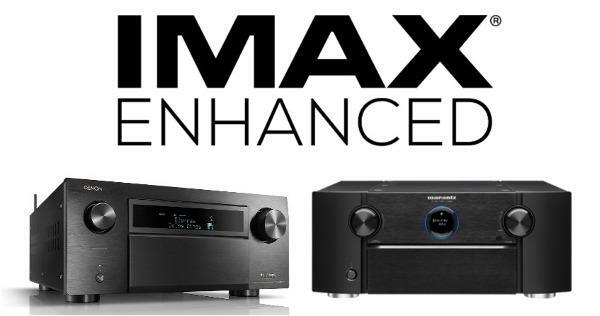 Sound United also announced an eARC (Enhanced Audio Return Channel) firmware update for Denon and Marantz receivers that will provide support for additional formats, including Dolby Digital Plus (up to 7.1 channels), Dolby TrueHD (up to 7.1 channels), Dolby Atmos, DTS-HD High Resolution Audio (up to 7.1 channels), DTS-HD Master Audio (up to 7.1 channels), and DTS:X. For more on IMAX Enhanced, visit imaxenhanced.com. For more information on the Denon firmware updates, visit usa.denon.com. For more information on the Marantz firmware updates, visit us.marantz.com.